Private and wooded setting house with a lake view. 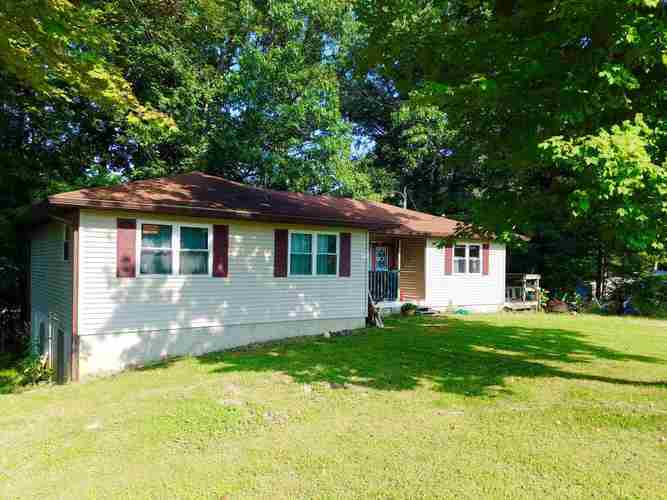 This house has so many updates: Roof, stove and A/C are 10 years old, water heater is 7 years, refrigerator is 5 years, dishwasher and washer/dryer are 2 years, windows and siding are less than 1 year. The wooden deck is perfect for a quite evening enjoying the birds and fresh breeze on your face along with a beautiful lake view. The lake is not on property. The walkout basement offers an extra room with sound proof walls, great if your family has an artist who loves to sing or play instruments or it could be used as storage, office or additional bedroom. House is all electric and is $200/month on summer time. This property does NOT have Homestead Exemption. After applied property taxes will be much lower. Directions:Hwy 56 E through Haysville to Co Rd 330 East, right. Home on the right ** OR** From Jasper 8 Theaters: Take 164 E and make right on S 330 E **OR** From Ferdinand: Take 162 N to 164 E then CR 330 E.House is on the right.